MK Property Services - Builder, Painter/Decorator, Plumber based in Stretton Under Fosse, Warwickshire. 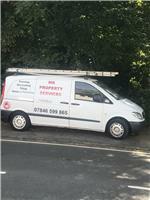 MK Property Services - Reliably serving Warwickshire & the West Midlands! We offer a range of property services with over 10 years experience in domestic and commercial property improvements. Fully qualified as multi-skilled tradesmen, Insured for up to £2million public liability. No job is too small or too large – from fitting sinks to redecorating your entire property we undertake it all. Tidy, punctual and professional – our customers happiness matters.